PT 7257, Jalan BBN 1/2A, Bandar Baru Nilai, 71800 Nilai, Negeri Sembilan, Malaysia. 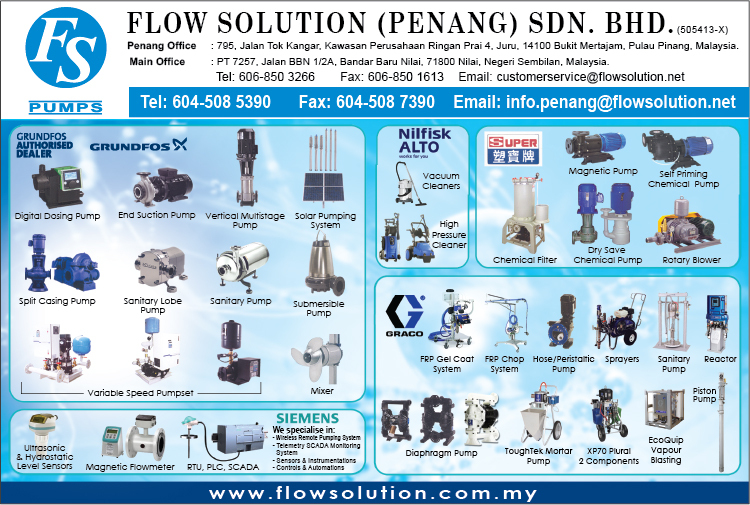 Flow Solution Sdn Bhd is a multidisciplinary company involved in the supply of pumps, frequency inverter, engineering expertise and maintenance services/back up after sales particularly for the general industry ie, factories, building, schools, government office, JBA and similar industries. 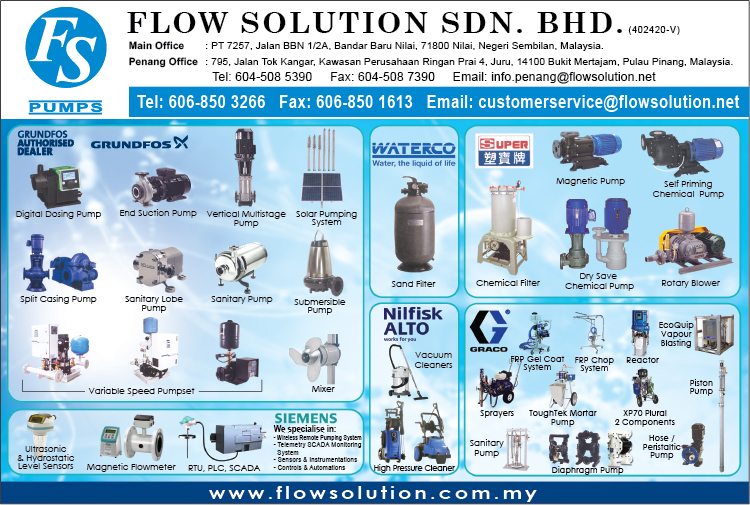 Flow Solution Sdn Bhd is an authorised distributor for Grundfos, Graco Husky & Super Chemical pumps, Waterco filters, Nilfisk Alto pressure & vaccum cleaners, Alto Den-Sin & Kew High Pressure Pump & Vacuum Pump and Pac Mechanical Seal in Malaysia. The company supplies a comprehensive range of pumps and related components to the above respective sectors. Lead by a team of highly trained and experience staffs, attached with wide contacts and reputated in the industry. Flow Solution offer a proven record of advising clients on their requirement and delivering solution that answer their needs.